SANTIAGO, Chile -- Ministers of the 33 countries of Latin America and the Caribbean will meet in Santiago de Chile with the aim of agreeing on a set of common actions to eradicate hunger in the region by 2025. This important meeting will take place between May 7-9, 2014, in the context of the 33rd regional conference of the Food and Agriculture Organization of the United Nations (FAO). The current president of the FAO regional conference and minister of agriculture, livestock and fisheries of Argentina, Carlos Casamiquela, said: "This meeting is a great opportunity to make progress in the materialization of the 2014 plan of action of CELAC regarding to hunger and poverty eradication in the region." The meeting has particular importance considering that the proximity to the deadlines for achieving the Millennium Development Goals, among which is the goal of halving the proportion of undernourished people by 2015 is particularly relevant. During the past 20 years, Latin America and the Caribbean was the most advanced region in the fight against hunger. However, 47 million of Latin Americans and Caribbean people are suffering undernourishment, which represents 1 in 13 people. "This meeting is an opportunity for governments, civil society, private sector and international agencies such as FAO to redouble efforts that will allow us to be the first generation of Latin American and Caribbean to live in a region free from hunger," said FAO regional representative, Raul Benitez. 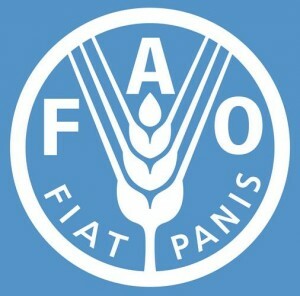 In addition to the ministers of the region, the Regional conference will be attended by the director general of the FAO, José Graziano da Silva, who was the promoter of the Hunger-Free Latin America and the Caribbean Initiative, a commitment that was subscribed by all heads of state and government of the region to eradicate hunger by 2025. The meeting will be opened by the president of Chile, Michelle Bachelet. Another central issue of the FAO regional conference will be the need of promoting a sustainable system of food production, based on greater role of the families and better prepared to cope with the effects of climate change in agriculture.